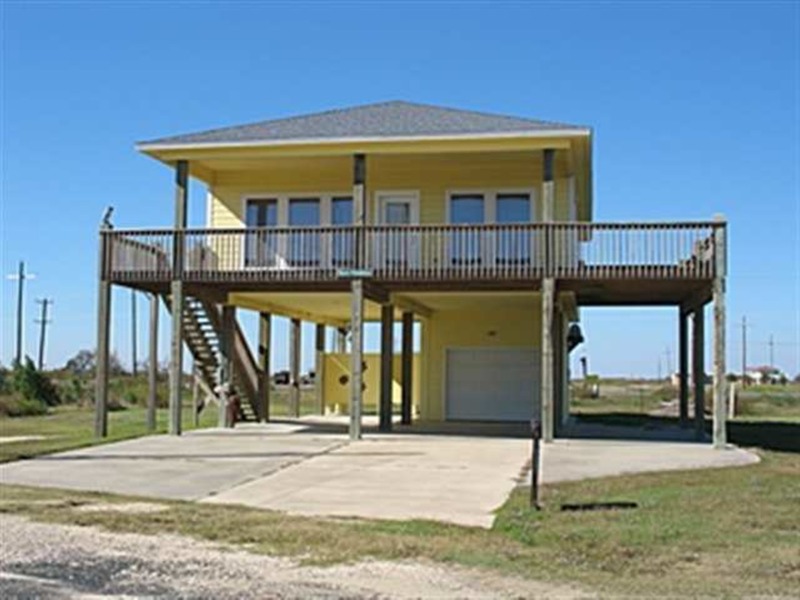 Wonderful beachside home in the Beaumont Subdivision. With colorful, attractive decor and a relaxed atmosphere, this Crystal Beach rental property provides the ideal setting for your beach vacation. This home features an open floor plan with cool wood laminate floors, and the great kitchen allows the chef to not miss any of the action going on in the living area. Comfortable, open living area is perfect for settling in after a day at the beach. Relax with your favorite beverage on the deck and enjoy the Gulf breezes and view, or cook out with friends and family. When you're ready to get some sand between your toes, the beach is only a short walk away. Master Bedroom (King), 2nd Bedroom (Queen), 3rd Bedroom (1 Queen+ 1 Twin Bed), Living Area (Double Sleeper Sofa).2 Full Bathrooms. This Home Works Well With 2 Beaumont, Tia Juanita'S Fish Camp, Flower Pot, Always Sunny, Villa Verdie And Hope'S Heaven. Rooms : Sleeps 9, Master Bedroom (King), 2nd Bedroom (Queen), 3rd Bedroom (1 Queen, 1 Twin Bed) & Living Area (Double Sleeper Sofa). Bathrooms : 2 Full Bathrooms.